More than hundred black taxi drivers were out of work and they made a strike at Orlando international airport, when Uber made a new agreement to break another contract with the city of Orlando. According to the new agreement, Uber black drivers were asked to charge their customers $1.65 for a mile, where as the other taxi operators of the Orlando city charge $2.40 for a mile, Uber charging is much lower than the other traditional taxis and many other taxi operators in the city. The price rate was established by the city in 2014, because many taxis were following the same price rate, so that this rate would level the pricing field. Uber black drivers were informed to pay $500 as fine, if they break their contract in the Orlando city. But for the residents of the city, it did not put them in the legal restriction of the city, but it is one more factor that has added into their financial burden, though they have the heavy financial burden. The minimum charge for service for the Uber black drivers was greatly reduced to $11 from $20 with the establishment of this new agreement. If the Uber black driver has a ride for 20 miles, then he will get $24 less than his previous amount. The revenue of the driver will reduce to one third amount than before. With this reduction, who will pay the same flat commission to the company? Uber said in a written statement that, Uber is more accessible at the Orlando international airport because of the change. Whereas, it results in more trips to the divers, as it is a busy environment. In the future the company had promised to monitor the effects caused by the change, and also the company will make sure that this scheme will be beneficial to both the drivers as well as the riders. 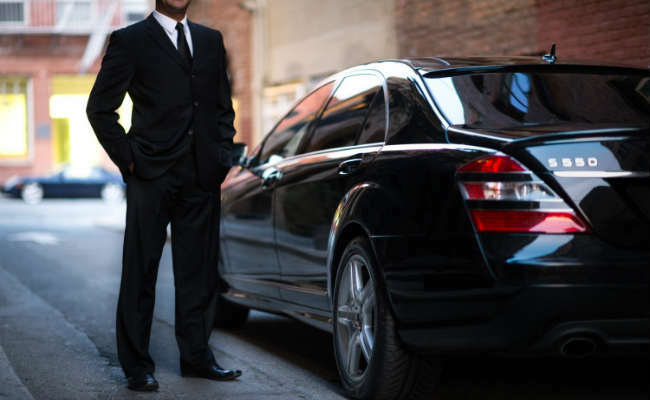 Uber black offers luxury service than any other Uber service, so the Uber black drivers can cost higher amount than the traditional taxis. Uber black is the only Uber service that can take the arriving passengers from the airports and drop them at their desired destination. Uber says that the new price cuts have increased the demand for their services at the Orlando airport where it operates. While many Uber black drivers have shared their experience of working for long hours and having little trips. Fernando Cruz, an Uber black driver says that, he had worked for 164 hours in a weak and he got about 21 trips, this average is equal to getting a single trip for every eight hours. Another Uber black driver said that, they had been waiting for 10 hours to get a single ride. But this might change during the busy season. Uber black drivers face the new burden because of the reduction in price that is they have to pay $5000 annually for the commercial car insurance. And they have to own a BMW or Lexus to become the Uber black driver. The spokes women of the Orlando international airport, Cassandra Lafser said that, they will look into this issue, whenever the time permits them. Traditional taxi drivers of Mumbai had a popular protest against the taxi-hailing service, Uber, because Uber is undercutting their fares and it went on threatening the traditional drivers to drive out of the business. The organizers said that, many black and yellow cab drivers in the Mumbai region, fleet taxi drivers and the hundreds of auto drivers also joined the protest, so thousands of drivers took part in the protest. Many drivers arrived at the Azad Maidan, a south Mumbai sports ground to protest against the Uber and also its Indian rival, Ola. Sultan Sheik, who is the traditional taxi driver in Mumbai for the past 16 years, said that, it was difficult for them to work and they are earning less money. The big companies like Uber has a better technology and money to improve their business, where as the traditional taxi drivers do not have the technology and money as like the big companies. The local drivers are demanding that, the app based companies should fix the fares according to the rates which are set by the local government authorities, if they failed to abide the rates of the local government, they should be shut down completely. The traditional taxi drivers charge Rs.15 per kilometer, while the app based companies Uber and Ola charge Rs.8 per kilometer and Rs.6 per kilometer respectively. Uber, the San Francisco based company was introduced in India in 2013 and it is rapidly improving its business in the country. Where, it also invested $1 billion in India for improving its business. Bangalore based Ola, was started in 2012, and it is expanding its business very fast and it introduces new funds as it is competing with Uber for the market share. The two companies began focusing on the price, so that they can have a good reach among the public. Their decline in prices has affected the traditional taxi drivers. The president of the Jai Bhagavan taxi, rickshaw sanghatana, Mr. Balasaheb Sanap said that, if their requirements have not met then they will have another protest. This sanghatana has led the protest against the unfair pricing strategy. Santhosh Sigh, he is the fleet taxi driver and he has participated in the protest, he said that, before Ola and Uber entered into the market, they had good revenue of about 80,000 to 90,000 per month. But now when they entered into the market, they earn 25,000 to 30,000 per month. There is a drastic decrease in their income. He said that, he has a loan in his car, for that he has to pay Rs.18, 000 per month, and he did not pay it for the past two months, he is worried about this and he fears that the bank authorities will take his car from him. And he cannot afford his children’s education also; he has borrowed money in order to meet the education allowances. He also said that, there are some people who want to hang themselves because they cannot manage their daily needs. Mr. Singh said that, he was a traditional taxi driver for the past 18 years, and he is uneducated so he says that he cannot get another job. Some of the drivers said that, they will get into violence if their requirements were not met by the government. Bhagwan Rajpal, a taxi driver said that, they don’t want Ola and Uber in India. Baldev Singh, a taxi driver for the past 50 years, said that, he has never with the problem like this, and the income never been down like this. Uber has announced partnership with the union to create a drivers association; it will help to build a better relationship and to have a better communication between the company and the drivers. The organization is called as the international drivers guild. It is a five year bond and it will allow the 35,000 drivers to join the organization and have the access to participate in the monthly meetings and they can express their views.